Dorothea Lange chose to be an "artist" during a time when family was supposed to come first for a woman. Her passion was photographing people. During her career, Dorothea Lange captured some of the most desperate and beautiful faces America has seen in photographs. She did her most celebrated work in the 1930s and 40s during the depression years and the second World War. 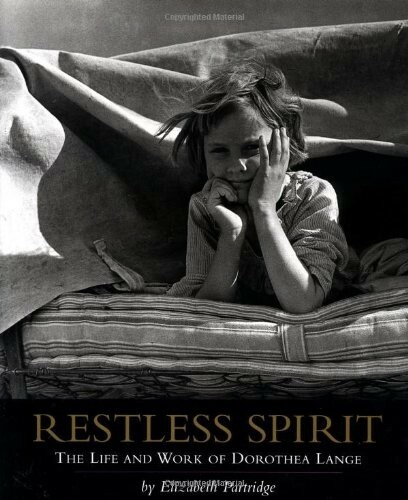 Restless Spirit: The Life and Work of Dorothea Lange includes over 60 of Lange's extraordinary photographs printed in high quality duotones, and chronicles Lange's life from her childhood on the Lower East Side of New York, through her early years as a portrait photographer in San Francisco, to her famous work for the government photographing starving migrant workers in California. Also included are her heart-breaking photographs of Japanese Americans interned on the West Coast during World War II. 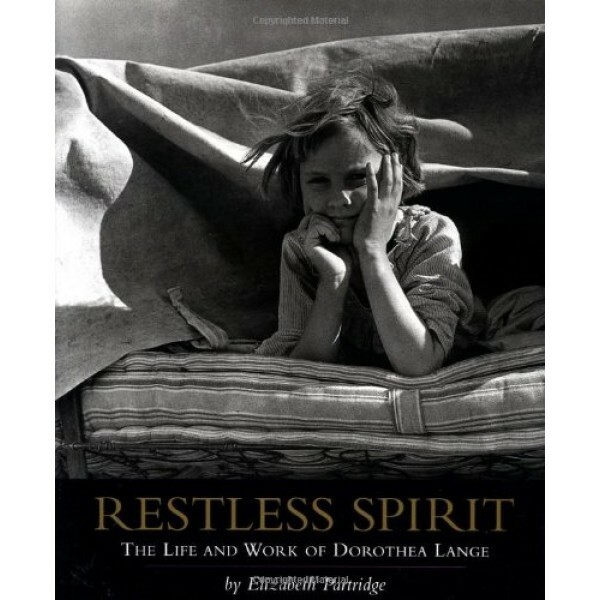 Author Elizabeth Partridge has woven Lange's own words into her book, creating not just another biography, but an intimate portrait of the artist who put faces on some of the darkest episodes in America's history Restless Spirit presents a magnificent showcase of work that will not soon be forgotten.